The EMD F3 was one of the most successful cab units the builder ever produced with upwards of 2,000 A and B units constructed by the time production had ended. The locomotive could be found in use on virtually all of the major railroads at the time and helped extinguished the use of steam in standard freight service. Visually, the F3 varied little from the FT except that it offered slightly more horsepower and upgraded internal components. Interestingly, there were a number of different design changes to the F3 over the years. However, while Electro Motive did not change the name of the model during this time railfans have come to identify these changes with the term phases (and the "F5" variant). Despite the fact that more than 1,800 F3s were constructed, today only around a dozen remain preserved. The EMD F3 began production directly after the FT in July of 1945. The primary difference between the two was the F3's D17B traction motors, which allowed it to produce 55,000 pounds of starting tractive effort and 40,000 pounds continuous. The model still featured General Motors' 16-cylinder, 567B prime mover. Because the F3 was built from the same frame as the FT it retained the same length of just over 50 feet and weight, 115 tons. The locomotive also kept the same gear ratio allowing it a (rated) top speed of 65 mph. Externally, the easiest way to identify the FT and F3 is the number of portholes; the former had four very closely together that were centered on the long hood while the latter featured just two spaced several feet apart. At the time of the F3's production the industry did not yet fully understand the benefits offered by six-axle (C-C trucks) locomotives in terms of the added tractive effort and adhesion they provided. As such, during that era four-axle power was the rage and with the success of the FT and early E series designs sales for the F3 quickly took off. Being one of the most successful diesel locomotive designs of that era the F3 was purchased by most of the largest Class Is at the time as well as a number of smaller lines. Over its four year production run the model saw slight changes to its carbody five different times. However, for the most part it was identical to the F2 with its most distinguishing feature being the F3's large number boards. As mentioned above, these changes were not directly denoted by EMD who simply kept track of serial numbers as new models rolled off the line. For railfans there were five different phases; Phase I through Phase V (the latter is also referred to as the "F5"). All of these were extremely minor in nature, mostly involving slight changes to grill locations, radiator fans, portholes, etc. 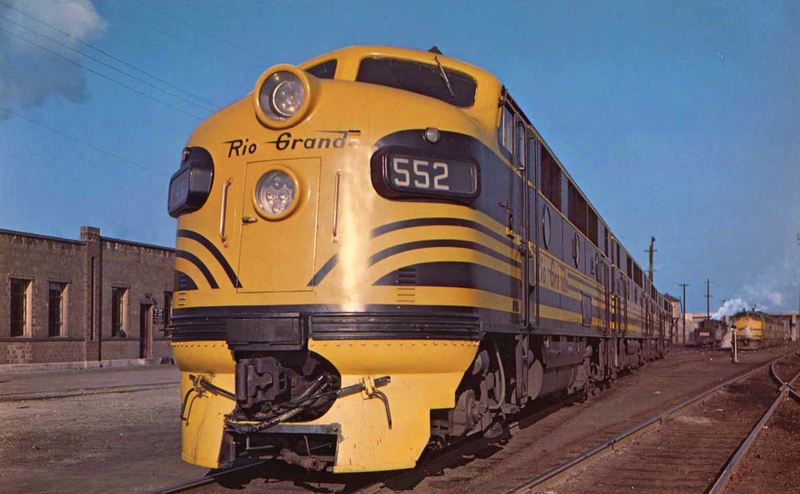 Specifically the variances include: built from July of 1945 the Phase I variant was essentially an F2 with upgraded electrical equipment and different numberboards; the early Phase II model was manufactured from February of 1947 and including slight cosmetic changes including chicken wire used on the top-third of the carbody with wiring used between the two centered portholes; the later Phase II went into production that December and sported new radiator fans with a "pan-topped" look. In 1948 the last three phases of the F3 were produced; in March Phase III began rolling out of La Grange lacking the chicken wire between the centered port holes with louvres included on the four rectangular openings; Phase IV was manufactured later that year in August sporting a full-length, stainless-steel grille which replaced the chicken wire at the top of the carbody and made the locomotive closely resemble the later F7. 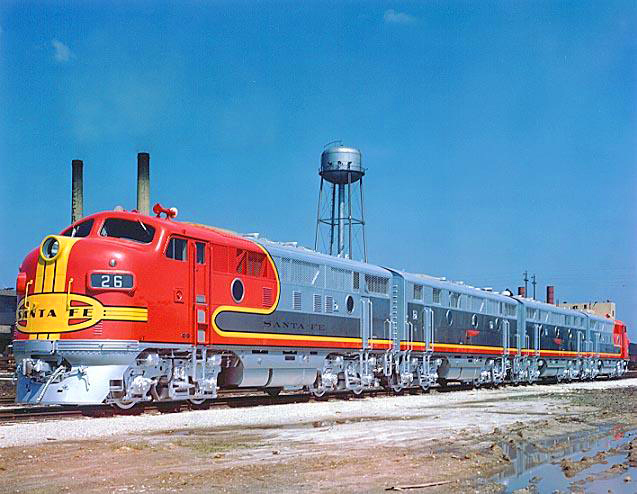 Finally there was the "F5" (Phase V) which, again, was never cataloged as such by EMD; built between October of 1948 through February of 1949 the locomotive's notable feature was the new model D27C traction motor. While more rugged the F5 retained the same, overall tractive effort rating. In the end, when production had closed on the F3 in early 1949 some 1,111 F3As and 696 F3Bs had been manufactured for dozens of railroads. Many of these models remained in regular freight service for decades with some still in use through the 1990s. 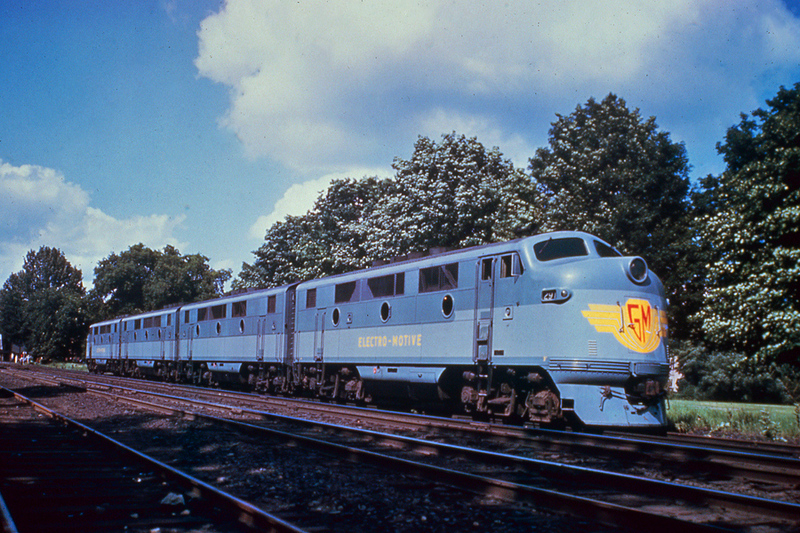 Electro-Motive's F3 was the first to see buyers from Canada when the Canadian National purchased 4 As and 2 Bs. Additionally, Grand Trunk Western bought 22 A units. 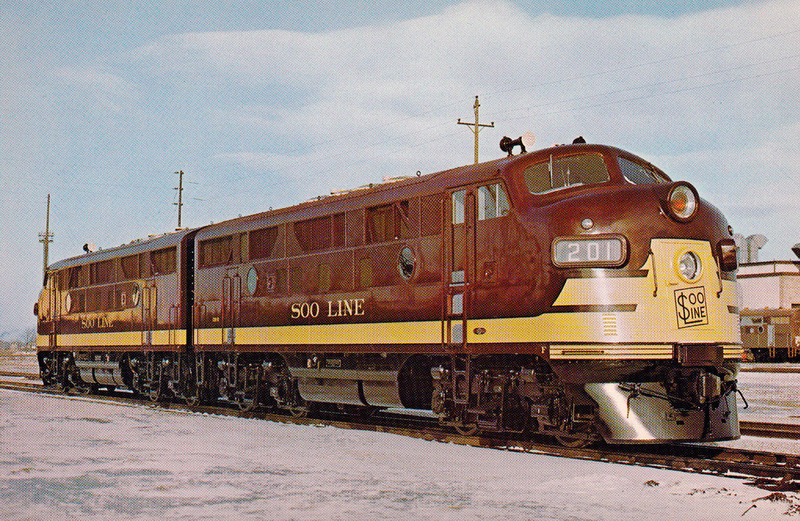 American lines to purchase the F3 ranged widely from the Aberdeen & Rockfish, Atlantic Coast Line, Baltimore & Ohio, Boston & Maine, Milwaukee Road, Erie, and Great Northern to the Burlington, Union Pacific (who purchased the most, 89 As and 90 Bs), Western Maryland, Southern Pacific, Soo Line, Southern, Pennsylvania, Missouri Pacific, Katy, and Lehigh Valley.